On the great singer's 53rd birth anniversary, her brother and co-artiste talks about the life and times of the queen of Asian pop and disco music. Excellence can be achieved with talent and hard work, but greatness is usually the preserve of pioneers. And age is no barrier to greatness, as the 15-year-old Pakistan-born British singer Nazia Hassan, who stole Indian and Pakistani hearts with the magical 'Aap Jaisa Koi' number from Feroz Khan’s blockbuster Qurbani (1980), proved. The song, scored by the UK-based Indian musician Biddu, became a superhit and overnight Nazia Hassan was a sensation. 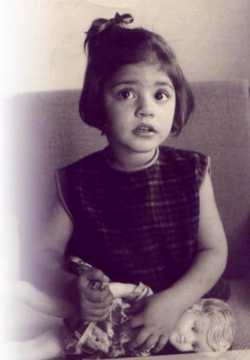 Nazia's brother Zoheb Hassan, younger by a year and a half, then worked with her to cut their maiden pop album Disco Deewane in 1981. The album, which was also scored by Biddu, became a rage across the subcontinent and in parts of Africa and South America, and the siblings were on their way to stardom. 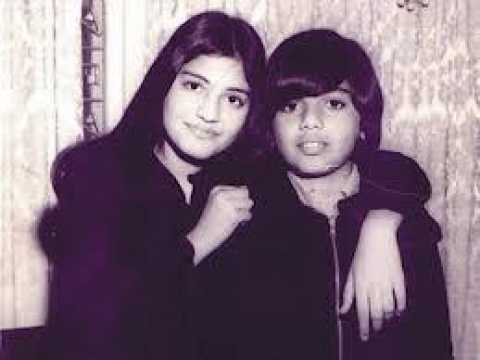 Nazia and Zoheb thus became pioneers of disco music in India and Pakistan. It would not be wrong to say that their music bridged the divide between the usually antagonistic neighbours, but Nazia and Zoheb's popularity stretched beyond Asia. Nazia was labelled the queen of Asian pop music and the queen of hearts, but more than the accolades, she touched the lives of millions of young people through her music and her charitable deeds. Sadly, her own life was cut short at 35 when she succumbed to cancer. Nevertheless, she has left behind a rich legacy. A few days before her 53rd birth anniversary (Nazia Hassan was born on 3 April 1965), Cinestaan.com spoke exclusively to Zoheb Hassan, who lives in the United Kingdom. Disco music from the West had been heard on the Indian subcontinent before, but it was Nazia and Zoheb Hassan who truly turned India and Pakistan into disco deewane. Is that a fair statement? Well, I think many forms of pop music have always been there since the inception of time. Pop music is popular music, simple music that can be enjoyed by the masses. Nazia and myself came at the right time. We were so young when we came to England that we didn’t even know what we were doing, what we were writing, singing. We just did what we thought we did best. People listened to our music and said, “What is this? A combination of Hindi, English music. It’s totally different." We were just kids. We had never been to a recording studio before. Nazia’s voice was like the [legendary Swedish pop band] ABBA singers, when it hit the microphone. It had a two-tone kind of split. It sounded like a double track, but it wasn’t. While the world has seen many prodigies, few artistes have shown such maturity at an early age. If one listens to Nazia Hassan for the first time, it is hard to believe she was just 15. She was singing like a seasoned professional. Yes, there is talent, she had this unique voice, but there has got to be more to it for someone to be so good at such a young age. Well, I think this is in-born. Bhagwan, Allah, Khuda... whatever you call him, she was chosen by god who blessed her with this voice. The good thing about Nazia is that she was a very good person. People don’t know many things about Nazia. We grew up not just as siblings, but as professionals too. She did charity all her life. She gave every single penny of her royalty to charity. I didn’t even know about it. She never told anyone about her charitable deeds. One day, children from a blind school walked in to pay condolences [after Nazia’s death]. The headmistress said she would like to thank me. I asked for what. She said we wanted to thank you for all the donations she had been giving for all these years. I didn’t want to claim ignorance, but I was shocked to learn this. The goodness of Nazia as a person came out through her music too. That’s why god chose her. One of the things that touched me was how at 14, she told your mother she was too old to celebrate her birthday and, as a gift, asked Munizaji to donate gifts at an orphanage. Does that in some way explain why she was so mature at her singing too at a young age? Very true. She was 100% like that. Her bravery was even reflected when the doctors told her she won’t survive [cancer] and yet she kept telling me we should do another album. I said how can I even think of an album when you are lying in hospital. She said she is here temporarily and will be out soon, so you better keep the album ready, for I’ll be up for singing. The doctors had only given her 15 days to live. I was with her throughout her one year of chemotherapy, but she didn’t want me there, asking me to move ahead in my life. I guess god wanted her back. 3rd April marks the birth anniversary of the great woman. Since 2001, fans the world over pay tribute and fondly remember her songs, but as a brother what emotions do you go through on this day? I can barely talk to you. It’s something which is deep inside your heart. It’s broken up every single time on her birth or death anniversary. It cuts you from inside. She went very young. I was flying when she passed away. She had asked the doctor to intensify the chemotherapy as she wanted to live for her son. The doctor told her if he gives her any more chemotherapy, she will not survive anyway. Brave girl that she was, Nazia told the doctor that even if there is a 1% chance, you intensify the chemotherapy. However, her body was too frail and she passed away. Though you were just a couple of years younger, I have heard you say that Nazia was like a second mother. Was that the case from an early age? Can you share some childhood memories? As kids, we were subjected to racism in England. We were called Asian bastards and whatnot. After school, we used to be chased by white gangs in Manchester and then in Bolton. Nazia stood up to the gang leader. I remember she used to tell me, "Zoheb, you go home, I’ll take them on." She faced all that herself as she wanted to protect her brother. She asked Mr Mike, is it because of the colour of my skin that you are throwing my brother and me out? He denied it. Before we left, Nazia told him, “Sir, one day, you and I will meet again, and next time, you are going to come to me. I’m going to make it [the album] with my brother." Many years later, we were signed by EMI Records [music label]. An Indian gentleman named Mr Bhasker Menon became CEO of EMI Worldwide. He gave Nazia and me a double platinum disc. Vinod Kumar, a representative of HMV, introduced us to Mr Mike, who was the head of their international business. Nazia said she knows him. Bhasker told Mr Mike they are our biggest stars in Asia. They have outsold Saturday Night Fever (1977), they have had seven No 1's in South America, they have sold over 100 million copies, etc. This is Nazia and her brother Zoheb. Mr Mike merely said, "It’s a pleasure and honour to meet you.” Nazia then told him, “Mr Mike, we have met you before in your office, when you asked us to leave.” He went red in the face like a tomato. Did the love for disco/pop music originate only after your family moved to London? Yes, we heard greats on the radio. We were so young when we came to England. We had never been exposed to pop culture before. We sang half in English, Hindi. Our melody, too, was mixed. We never learnt music. It just happened. One day, I just picked up the guitar and Nazia started jamming. This is how it started. We evolved our style through that. Nazia’s singing style has been compared to the legendary Karen Anne Carpenter. Was she an influence for Nazia? She loved her music! We used to be also compared with Donny and Marie Osmond. When we appeared on British programmes, we were called the Asian Donny & Marie. The equations existed before and it happens for artistes now too. I believe it was Zeenat Aman who requested your mother to let Nazia sing for Qurbani. What was Nazia’s reaction when your mother told her about this offer? Nazia only told mom that hope she doesn’t have to leave school for this. Mom told her no, you don’t. All you have to do is go one day to the studio and record it. That’s exactly what she did. Nazia met Feroz Khan at a party. Is it true that he was more keen to work with Biddu than the two of you? Would you have any idea what his reaction was after she recorded the song? 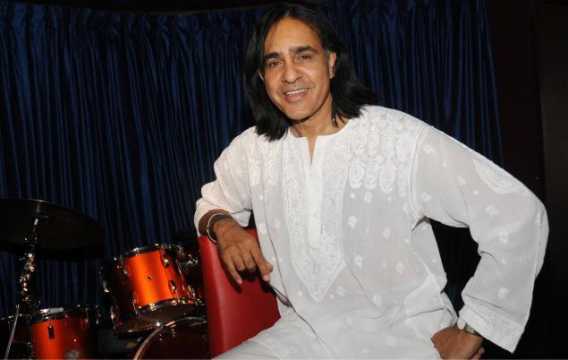 Did Biddu plan a song similar to a Boney M track which Nazia and you refused as you wanted an original? Feroz Khan wanted to put in a popular Boney M song like 'Rasputin' in Qurbani (1980). He had done a Hindi version of it and wanted Nazia to sing. However, she told Biddu and Feroz Khan that she will not sing a track that is not original as people would laugh at her. Feroz Khan said, "What do you mean by that?” She said, “Sir, yeh orginal nahi hai [This is not original]. Zoheb and I write our songs, music." Upset, Feroz Khan said, “Look, I’m not interested to listen to ‘your’ thing, you are in the studio, I’m the producer, you have to listen to what I’m saying." Biddu then came in and asked to listen to our song. We sang in the studio, and Biddu liked it. Two teens saying no to an international musician like Biddu and a big movie star like Feroz Khan, was that easy? Look, we had no stakes. We were in school, and this was like a day out for us. If you don’t get to eat candy on a day you want to eat candy, you don’t stop going to school. It wasn’t a job for us. Nazia was bold. She always said what she felt. I’m glad she said that to Feroz Khan, otherwise 'Aap Jaisa Koi' would not have been born. So, how did 'Aap Jaisa Koi' come about? Biddu had heard some of our music. He liked it. Based around some of the lines, he composed 'Aap Jaisa Koi'. He made a song for the singer, not the singer for the song. The song was recorded in one take. Nazia was the perfect singer, she had the perfect pitch. One take was done, thereafter some lyrics were mended in the second take, and it was all done. Biddu played a special role in your lives, and I guess it was vice-versa as well. How did Biddu come into your lives? We met Biddu at the same time when we met Feroz Khan. We remain friends till today. He was an established musician when he met us. We were children. He did his own thing. I was writing most of the music, Biddu didn’t know how to write a Hindi song. He couldn’t even speak Hindi! I was writing all the music. Almost 70% of the Disco Deewane music was written by me. The lyrics were written by Nazia, me and some other writers. Nazia became an overnight star in India wth 'Aap Jaisa Koi'. I think she came to India to pick up the Filmfare award for Best Playback Singer (Female). What memories did you guys take back? Phenomenal. The way India opened its arms for Nazia and me, it was amazing. The hospitality, the affection... I have so many friends in India. To start with, I am very friendly with the Kapoor family. Nazia sang with Kishore Kumar, who then sang with his son, and we four performed together. Later, we did a tour with Amitabh Bachchan and Zeenat Aman in Alberta, Canada. We were in school and my parents were not very keen that we go there alone. So, we only did limited things on that visit. My father’s origins are in Delhi. When we went there, my father got emotional. His old home is still there. When we went to Kolkata, there were tens of thousands of fans queuing up outside the Oberoi just to get a glimpse of Nazia! The entire road was blocked and the hotel staff had to take us out through the kitchen. I saw her interview with Tabassum, parts of it are there on YouTube. Every time I watch it, it gives me goosebumps. She was in school then and she spoke like a shy schoolgirl. Later, I also saw some other interviews. Be it the one with Tabassum or the others, Nazia always seemed shy when it came to talking on camera. Did she not like too much of the spotlight on her? No, she didn’t. She was a private person. She gave the interviews because she was catapulted into this not because of herself but because of the public. The public made her into this 'star Nazia Hassan’. She was just this simple schoolgirl living first in Manchester and then in London. She had a good heart and an amazing voice. Later, she became more confident in her interviews. She was an upright and decent person. After 'Aap Jaisa Koi', Biddu and you guys came up with the maiden album Disco Deewane. There was no looking back thereafter. Can you share any story from that recording? I remember [the English musician] Anne Dudley who had worked with Phil Collins. She was doing Disco Deewane. She was in the studios. She asked me, “Zoheb, how old are you?” I said 13. She said, “Tell me the truth. Did you write all these songs yourself?" I said yes. She asked again, “Did you take someone’s help?” I said no. She handed me the guitar, asking me to sing and play the chords that I had used. I played those and she said, “Oh my god, you did write these songs!” I’ll never forget that. There was this guy playing the guitar for one of the tracks. 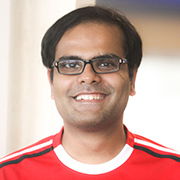 His name was Deepak Khazanchi. He had a famous group called Aalaap. He told me that adding Hindi lyrics to English music made for a great idea. What I’m going to do is mix Punjabi lyrics and Western music. So I guess Bhangra pop basically originated out of the studio of Disco Deewane. Well, Indians, Pakistanis enjoyed Disco Deewane, but for the West and Europe, you guys created Dreamer Deewane. How did Nazia pull that off? Disco Deewane had scored seven No 1's in South America. Back then EMI India was doing better than EMI UK, who were quick to sign the song for European audiences. They didn’t know how to market it, for there was no concept of Asian pop music. So they came up with the idea to have an English version titled 'Dreamer Deewane'. It was very successful. Nazia pulled it off with elan. Quite a few of your songs have been remixed in Indian pop culture and in one film. Sadly, Nazia didn’t live long enough to see the remake from Karan Johar’s Student Of The Year (2012), but what did you make of the earlier remixes? To be honest, I haven’t listened to most of them. I am in London most of the time. I didn’t know about them. I heard the remake from Student Of The Year, but I never saw the film. You won’t believe who told me about this remake. It was Mr Salman Khan. He is a dear friend. He said, “Tera gaana jo hai, woh usne, Karan [Johar] ne, banaya hai [Your song has been recreated by Karan Johar]." I hadn’t heard from him in years. I asked what are you getting at. He said, “Bhai, Salman bol raha hoon, from Dubai." He asked whether they had taken my permission. He said if they hadn't, you should sue them. I laughed it off, telling him I don’t want to sue anybody. Our songs were all published at the time of conception, so nobody can take the publishing away from you. Biddu told me they [Karan Johar] can do it. I told Biddu if you have done it [given the rights] then I respect that. I just did a song for Pepsi, 'Oui Oui' [Biddu's composition] with Fawad Khan. I asked Biddu whether I can use it, and he was all fine. That’s the kind of relationship we share. Did Nazia see the Disco Deewane remix by Indian pop singer Sagarika? No, I don’t think so. She was not very active in the later years of her life. Today, the world over, disco music isn’t the same with the passing of legends like Nazia. Is it next to impossible to recreate the magic of the 1970s and 1980s? It is always difficult to recreate anything. When you recreate something, it is always a second version, one that will never be original. I think even if The Beatles tried to re-record their music, it will not sound the same. There is an era, an age, an ambience, which can never be recreated. No one can recreate a Kishore Kumar. I believe your album Signature had different versions of Nazia's 'Disco Deewane' and 'Boom Boom'. Yes, she re-recorded all the songs in my studio in London before she died. She did that for me. Does that kind of disco music even appeal to the younger generation today? The catalogue that Nazia and I have is about 30-40 songs. Almost 70% of the tracks were hits. Our catalogue is still alive. Everyone tried to get hold of our catalogue. It is as valuable as ABBA’s catalogue. There is one philharmonic orchestra which had a special tribute to 'Disco Deewane' and ABBA’s 'Mama Mia' together, symphonic. It was difficult for me to read, so I can’t even imagine how difficult it was for you and your family that Nazia hid the reality about her rocky marriage. To think that she had cancer and then to endure a troubled marriage. Why did she never speak about it to the family? She was a very private person. Nazia said, “Why should I burden someone else with my pain and sorrow? I have to face it myself." Till today, I can't forgive her for hiding it. Finally, what legacy has Nazia Hassan left behind? Her legacy is her music. Her legacy would be that she was a good person in showbiz. She set an example that you can be super talented, super successful, and still be a good person. It can go hand in hand. That is the unique thing about Nazia. At the same time, she maintained her education. She was a lawyer. She was a great role model for the youth. The only thing she couldn’t crack was her life. It was very short.